THEODORE M.NEWCOMB (July 24, 1903) in Rock Creek, at the northeastern tip of Ohio and he was a great pioneer in the field of social psychology. Merely 50 years he worked for the improvement of human motivation, perception and learning to shape the deep understanding of social process. In 1929, he started his professional career in the department of psychology at University of Michigan. In 1931, he moved to Cleveland College, University of Western Reserve from University of Michigan. In 1934, he got a great offer from New Bennington College in Vermont which caused remarkable changes in his rest of his professional career. His works “Personality and Social Change” (1943), “Social Psychology” (1950). He published a new social approach in field of communication which is called “ABX” system (later it became Newcomb’s model) and it’s published in the name of “An Approach to the Study of Communicative Acts (1953)”. He published another great work in the field of social psychology called “The Acquaintance Process” (1961). 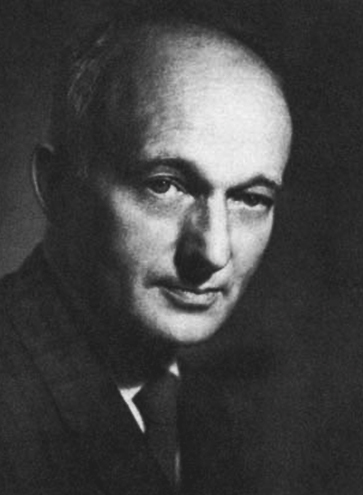 The New Comb’s model of communication was introduced by Theodore M Newcomb of the University of Michigan in 1953. He gives different approach to the communication process. The main purpose of this theory is to introduce the role of communication in a social relationship (society) and to maintain social equilibrium within the social system. He does not include the message as a separate entity in his diagram, implying it only by use of directional arrows. He concentrates on the social purpose of communication, showing all communication as a means of sustaining relationships between people. Sometimes it’s called as an “ABX” model of communication. The relationship between A and B is like student and teacher, government and public or newspaper and readers. Sender and Receiver may work in a same flow but the same time some factor like “X” may affect their flow of relationship. “X” it may be third persons, issue, topic or policy. Teachers introduce a new policy to increase the college timing from 6 hours to 8 hours. If both students and teachers are satisfied with this policy then the communication maintains its equilibrium status between them. Otherwise the flow of communication between “A” and “B” becomes trouble in the social system. If “A” or “B” is not ready to accept the policy then it will directly affect the social system and can’t maintain the equilibrium status. So Teachers”A” can convince students “B” as much as possible. Otherwise they have to make some adjustments in the Policy “X” and convince them towards the policy. When we speak of communications what exactly is comminications as a whole? What is the definition of communication? What are advantages and disadvantages of this model? this triangle as a whole represent our social circle within which we exist and communicate each other.. more over the tendency of human being is the main thought that this model is going to explain..
Thanx for this sincere effort. 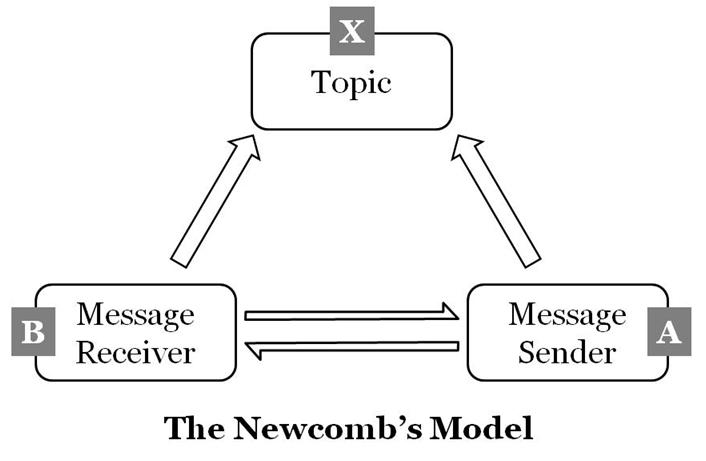 Can any body give 5 examples based on this this newcombs model? how will you explain the chart? What if the two sides will not agree on the matter? does-this theory have some weakness? Newcomb’s essence of life was his ABX model. He was the first who focused the communication cycle insted of discussing message or MCR just like Laswell. Is there any other model that criticizes this model? good ,iv enjoyed the information about ABX thank u.
what are the advantages and disadvantages of this model? Good I’ve enjoyed the information about ABX thanks u. What are the advantage and disadvantage of the modal? Does this model have any disadvantages? Thanks for this but please elucidate more on this. Very nice and easy explanation..
What is the basic relevence to all these communication models?